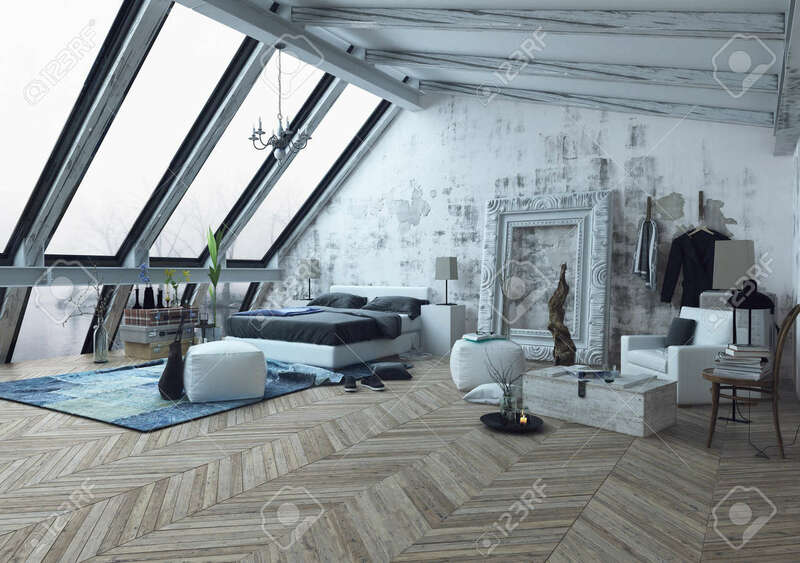 Modern Bedroom With Large Vertical Slanted Windows, Vaulted Ceiling.. Stock Photo, Picture And Royalty Free Image. Image 54596064. Stock Photo - Modern bedroom with large vertical slanted windows, vaulted ceiling and large frame for paintings on wall next to sculpture. 3d Rendering. Modern bedroom with large vertical slanted windows, vaulted ceiling and large frame for paintings on wall next to sculpture. 3d Rendering.